At Eraring Power Station, a fleet of eight Condensate Extraction Pumps (CEPs) were failing more frequently than expected. With every failure, the CEP was offline for a minimum of eight days while being overhauled. The bearing was first disassembled over three days. Then, the pump was removed in two sections while personnel worked under the suspended load to uncouple the pump. Reinstalling the CEP was even more challenging. 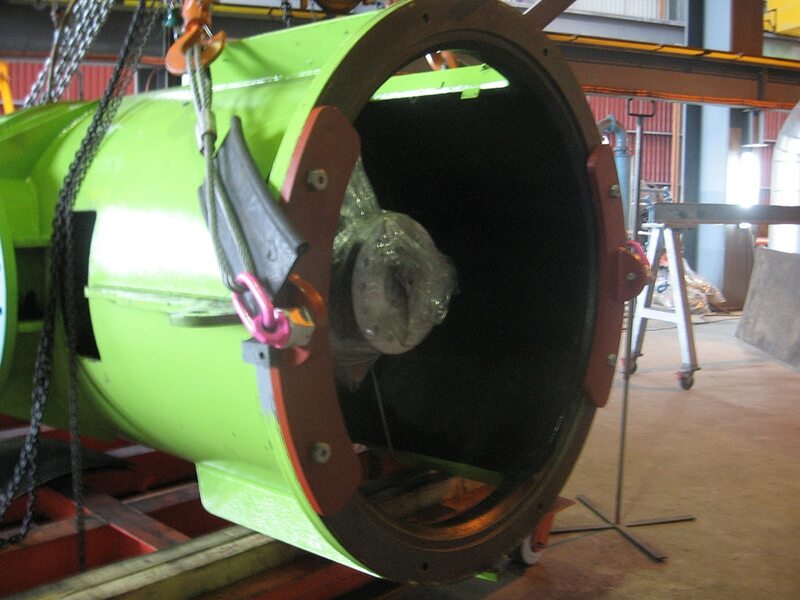 The bearing was reassembled on site in cramped conditions, over five or more days. On average, each pump failed more than once every three years. Across a fleet of eight, the team at Eraring were faced with an average of three failures each year. Most of these failures were due to errors made in assembling the bearing under difficult conditions. Adding to the direct cost of each failure was exposure to potential production losses. The fleet size was intended to build redundancy into the production system. With a pump offline, the redundancy was removed and the risk of losses increased. 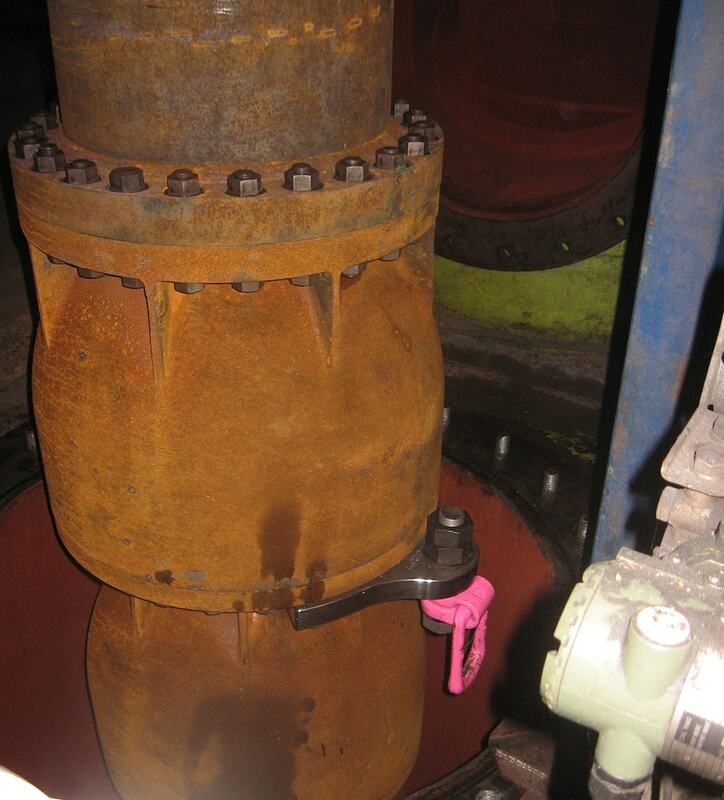 RUD Australia was consulted by Eraring’s on-site rigging team and engineering staff to assess the problem and advise on the viability of possible solutions. Improving pump performance to reduce the average time between failures was a key objective. 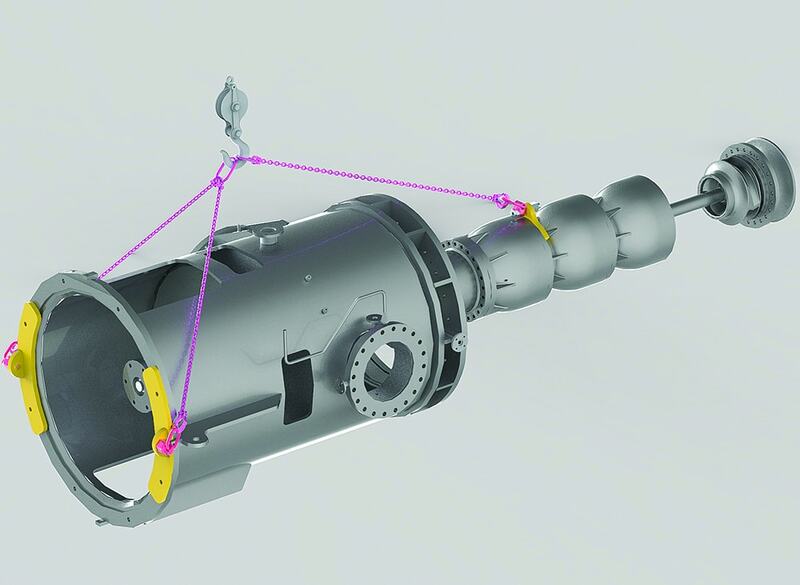 Assembling the bearing off-site was critical to achieving this. The CEP needed to be removed in one piece, not two, in order to be transported off-site. This would require a lift that could overcome the weight of the pump, cramped conditions and lack of crane head room. RUD Australia developed a tailored solution to match the unique properties of the CEP and surrounding equipment. Custom-made certified lifting brackets and fittings were designed, manufactured and tested. The design was then improved over several iterations. This solution reduced the CEP removal time from five days down to just four hours. Re-installation time was reduced from an average of seven days to six hours. The mean time between failures (MTBF) for each CEP was also reduced as a result of the new overhaul procedure. Other benefits were improved productivity and increased revenue, as well as improved health and safety for Eraring’s workforce. Speak to a RUD Australia expert to find out how our solutions can help you reduce downtime and maintenance costs. To date, we have not experienced a single failure of a CEP installed in this way, as a single piece with pre-assembled bearing. And we don’t expect to see a failure in the future, now that the CEP bearing can be pre-assembled under controlled workshop conditions. The evolution of the lifting process has taken approximately two years, with an outstanding working relationship developed between RUD, Origin and Hydro Australia.